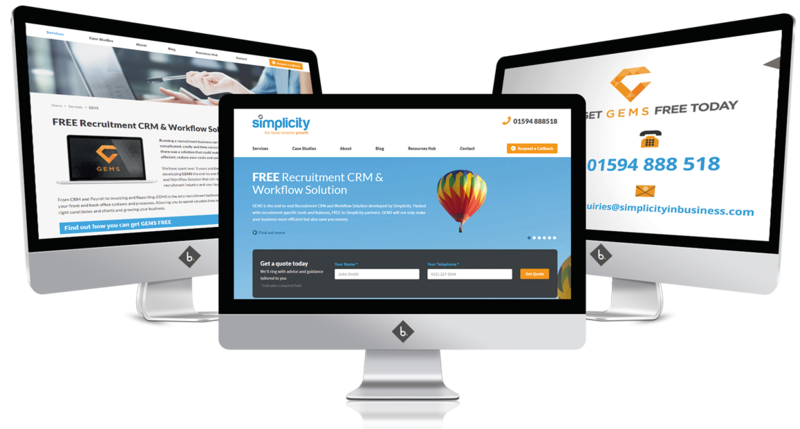 Simplicity has earned a reputation for being the UK’s most innovative and fastest growing specialist provider of outsourced back office and financial solutions to the recruitment sector. Simplicity’s website uses the CMS Umbraco. Their site wasn’t fully optimised for SEO and had many errors. We were tasked with improving their search rankings through organic SEO techniques. 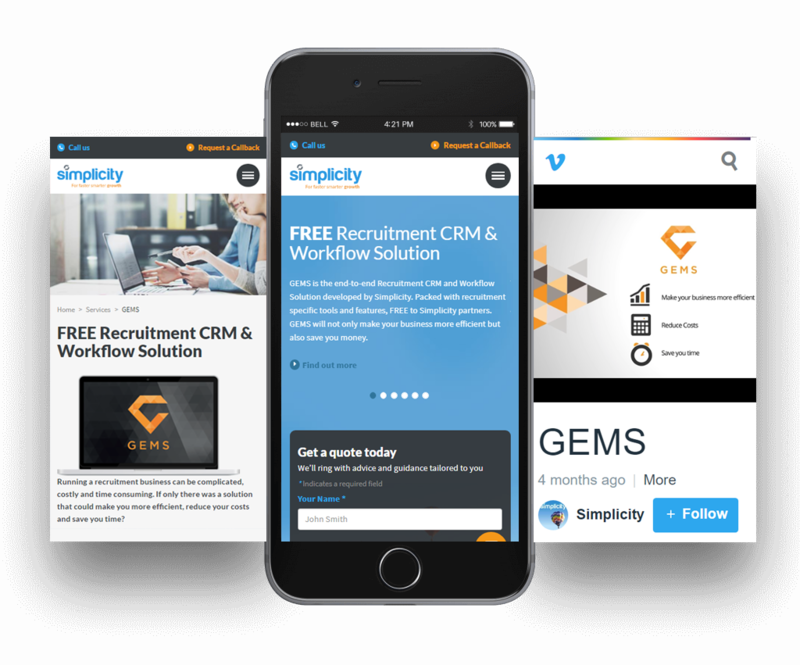 Simplicity launched GEMS, a multi-million pound end-to-end recruitment CRM, so wanted an animation video to showcase this amazing technology and promote it to customers. 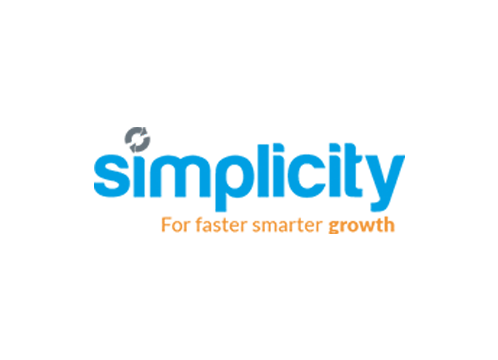 Our SEO Experts have used ethical SEO strategies to improve the search ranking of Simplicity’s website to increase the amount of traffic and conversion they receive. Our designers created a bespoke animation presenting GEMS for the launch of this revolutionary CRM system. This video is proudly showcased on their website.